A thick sweater with a tall collar, made in 8 ply cashmere. Its double-ended zipper and buttons give it a very distinctive look. 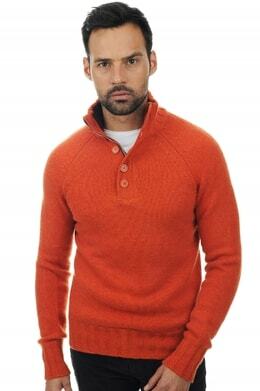 Also features raglan sleeves and a contrasting collar. 9 cm ribbed hem and cuffs.